Boasting the most inventive album cover in the band’s catalog, this record may have been a sign of the band’s momentum at the time, showing confidence from the promotional sides. Also a time when paper was not scarce! While some foreign pressings were flat covered, the design features layered paging, with rows of computer-generated band photos. 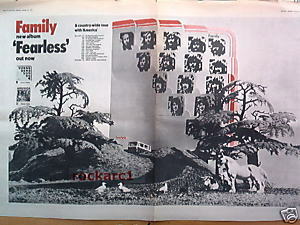 The photos are combined in all combinations, and the total composite is in the upper right-hand corner, under the word “Family”. After Anyway, John Wetton joined Family and added his own unique voice to the mix, along with up-front bass playing and equal guitar abilities. Wetton had no writing credits, so these songs were probably written before him; and his vocal presence was probably just a case of him taking lines on the spot, as opposed to writing for two lead singers. John Weider had “tired of bass playing” but this was just as well: Wetton’s tone in the live settings allowed Family to keep their “heavy” sound. For some reason, the running order of the songs seems a bit unplanned, like it is more a collection of single songs than a seemless album. In this line-up Palmer was a major “progressive” element with his vibes, piano, flute and percussion. The dual vocals added a lot of richness to the new sound. Also a horn section was used on a number of tunes. The instrumentation is often confusing, because two guitars and bass will be playing simultaneously. Chapman is noted to play bass on a couple of tunes live, but it’s not clear if he did this in the studio. Wetton “inherited” the Gibson double-neck guitar (bass and six-string) for live playing. Never the band to do the same thing twice, Family’s last three albums were something of a consistent peak that eventually ended their own career. And this is the most “out there” of the bunch. Here they added some light touches with songs that were less serious than in the past. But equally, they could be as heavy in concert as before; they were just a little more accomplished. This was, and still is, one of their most popular albums. Some saw it as the first focused effort since the debut album. 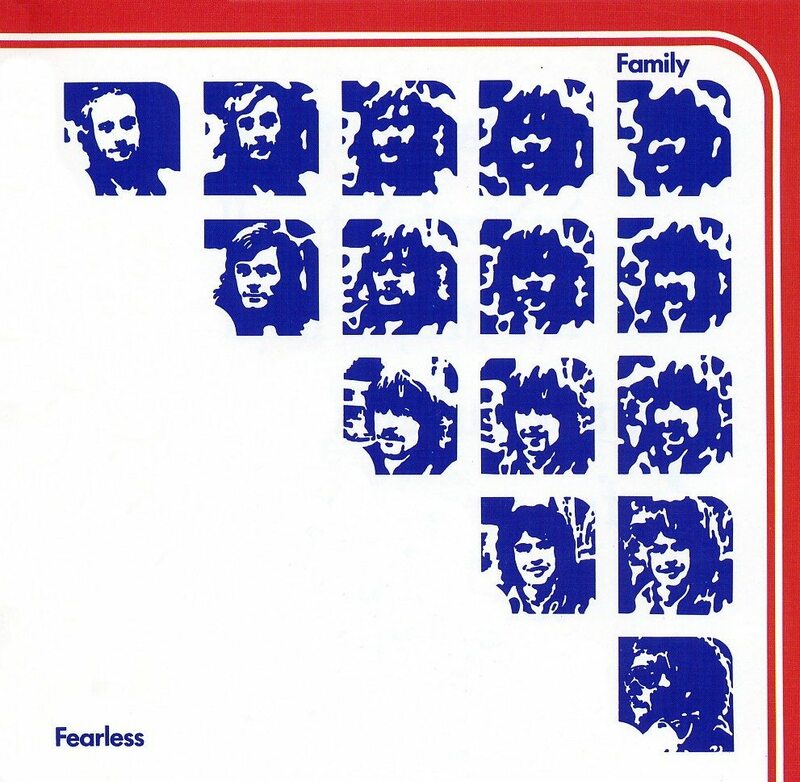 Fearless and Bandstand are masterworks. I said that as a teen when the albums and band came to our attention and still marvel at the talent the band possessed. I was in a band called Islands and we played all the clubs in Ohio, Cleveland being our base. We were absolutely the first band back then to play songs from Bandstand and surprisingly people would ask us if we knew more Family songs. We never had the opportunity to see them live but did see Streetwalker at the Cleveland Agora.